Now that the aftermath of the collapse of the Canadian Hockey League Player’s Association (CHLPA) has simmered, a period of sincere reflection is perhaps due. 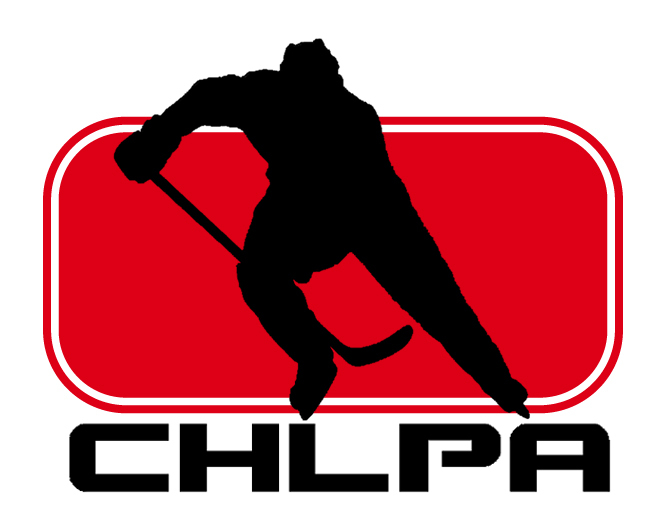 The CHLPA, whose mission was to represent all Canadian Hockey Players (CHL) players in a fair and equitable manner, disintegrated under pressure from the CHL. The organization vowed to provide unionized protection to over 1,400 hockey players across Canada, aged 15-20 years. The greatest misstep of the organization was its association with Randy Gumbley, a former coach who was charged by Hockey Canada for committing fraud. Whether true or not, the allegations were enough to seize any momentum the CHLPA had gained. The Gumbley lawsuit is not black and white. After having organized a tournament in Europe during the 2004-2005 National Hockey League (NHL) lockout, things got messy and the tournament folded. Players paid substantial money to attend the tournament, and eventually a lawsuit unfolded. According to Gumbley, Hockey Canada is to blame and as you can imagine, going to war against the most powerful sport organization in Canada is not trivial. The story is interesting, yet extensive. The CHL hired a private investigator to uncover the identities of the CHLPA founders, and once they realized it was a Gumbley project the organization hit a downwards spiral. Interestingly enough, although Randy Gumbley had little to do with the organization, and it was in fact Randy’s brother Glenn Gumbley who was the backbone, the CHL was successful in convincing media outlets all around the country that a fraudster was attempting to unionize and protect the hockey hopefuls of the CHL. The saga of the Gumbley story is not over, and the end remains distant. The important thing though, to take from it all is that the information available to the public on the matter is not enough to make anything more than an opinion. With that said, there were many positive steps taken by the CHLPA in uncovering the realities occurring in regards to player treatment in the CHL. After graduating from the CHL, players are offered an 18-month window in which they can claim their education package. To many, the 18-month period is not enough. In addition, the education package turns void if the player signs a professional contract with various hockey leagues including the National Hockey League (NHL), American Hockey League (AHL), ECHL and Central Hockey League (CHL). Ask any hockey player their thoughts on continuing their hockey career after their major junior days and most will tell you the dream is not quite over. On that note, what’s so wrong with allowing a player to continue his career for a few years before throwing in the towel? After all, hockey is their life…it’s their identity. The CHLPA proposed to extend the window to a 5-year term. CHL players are awarded a stipend for playing in the league that ranges anywhere from $50-$150 dollars bi-weekly. If the number of hours these players log each week is taken to account, including travel time, games, practices and additional workouts the total far exceeds a regular working week. Yes…they are used to it, and yes this is part of “making it,” but at least pay the kids a fair monetary stipend. The CHLPA proposed to pay players minimum working wage. Look…there’s no doubt that the CHL is racking in a profit. Who’s to say that the players are not entitled to some of it? Think of the number of tickets sold to regular season CHL games, playoff games and Memorial Cup games. Now extend this to the profit made by Hockey Canada at the World Junior Championships each time it is hosted by a Canadian city. There are people out there making a quick buck…and it’s not the players. The CHLPA proposed a $1.50 dollar ticket surcharge to be put into an education fund for all CHL players. Create a positive partnership with the CHL and Hockey Canada to grow the game and provide more opportunities to all Canadian players. Create a CBA that will provide better working conditions for the players. Establish a line of communication for players to voice concerns confidentially through the union, so they can receive support and assistance without fear of repercussions. Allow players to use education funds for non-university programs, including trade schools. Establish a small business program to fund entrepreneurial opportunities for players after their CHL careers. It’s a fair plan, quite honestly…it just makes sense. Take a random player from the CHL, award him the utmost confidentiality and he will tell you that…it sounds pretty darn good to him too. So what now? Well, they’ll be back. I don’t know when, I don’t know how, but I do know that they will come better armoured this time. I’d even go as far to say that they might just be working on it right now. Great post Vicky! I agree that the CHLPA proposed a lot of great idea to improve the quality of life and earn fair working conditions for junior players. Hopefully the groundwork is there to implement some of the proposals in the future. Unfortunately, I get the impression junior hockey still very much has the “you should just be grateful to be playing!” mentality coming from owners, management, and fans – but hopefully the CHLPA or a similar organization can start breaking down some of that mentality. Thanks for the comment Mark. You’re absolutely right about the “you should just be grateful to be playing!” mentality occurring in and around the league. It seems as though the nature of this mentality has been constructed historically. “Transformations occur when ignorance and misapprehensions give way to more informed insights by a means of dialectical interaction” (Guba & Lincoln, 1994, p. 113). Exactly markdavidnorman. They don’t make comments like you should be greatful your an actor to ppl like Mary Kate and Ashly Olson or Drew Barrymore when they made millions at 7 years old.